It is hard to set to, you always postpone. A so-called negative final outcome prevent you to act. You are frustrated when you don't reach your goal. You feel anxious not to achieve what you plan to draw. Unfortunately, or fortunately (that is actually what I think today), life offered me other ways I chose to follow, including studies in economics and marketing. So when I left my first professional life as a copywriter in advertising agencies to focus myself on creation, besides my will, I have had a good general culture, but a poor artistic background. So I have had to build this knowledge, to make up my experiences and ultimately to turn it into a job! 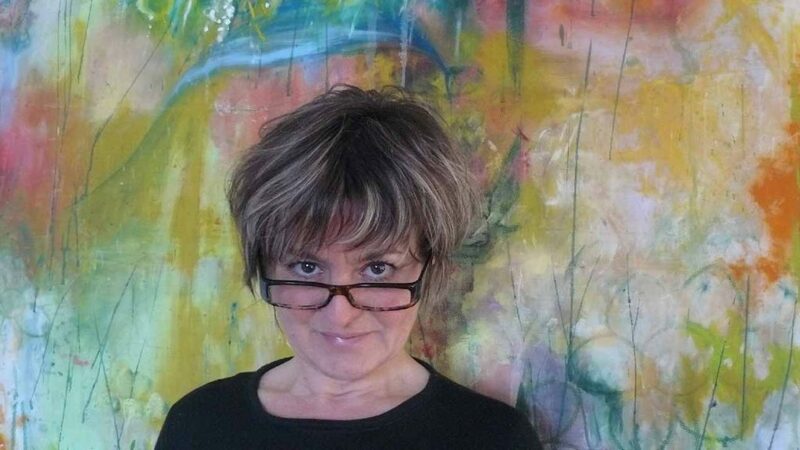 For those reasons, I pool out 20 years of an active commitment in art with artistic creations lovers. 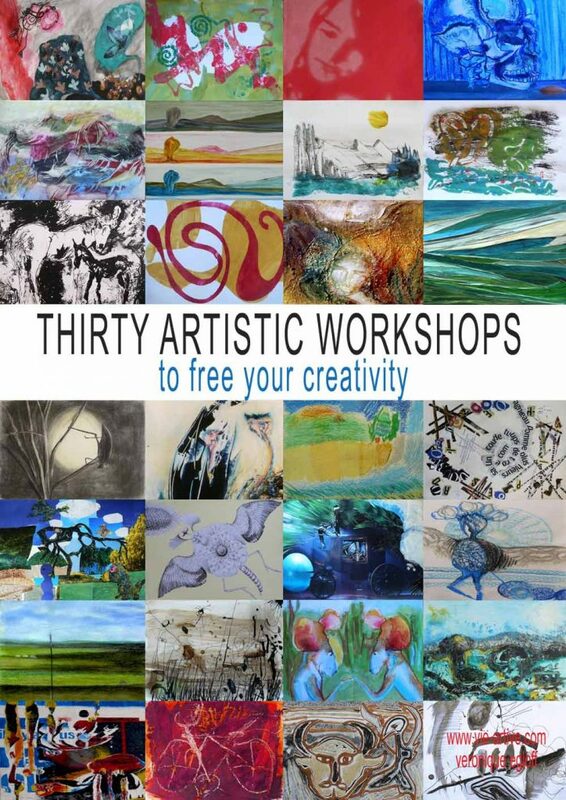 This pack of 30 artistic workshops addresses everyone. It actually reflects the visual arts workshops I would have liked to join and to support me in my breakthroughs in loads of possible techniques and materials. As I did not find any, I have started -once my self-education done- to organize workshops with all kinds of organizations (Youth centres, Museums, National Education, private lessons). This eclecticism, this fancy in the way of working and this implementing of all kinds of materials and matters, I sought for myself, are yours today. It is necessary to remain open-minded, to have a great sense of adventure and a strong will to get into the game. Because, beyond those benevolent mindsets, there is the reward : I CREATE THEREFORE I AM and just for this intense moment it's worth trying. All these workshops have been developed and evaluated with both adults and children. Whatever the level, everyone can appropriate them on one’s own way. All the examples of achievements are made by my students and sometimes by me, but nothing is said about that. Because it is important to understand that the success of the work is not only depending on the background previously acquired, but especially you must be mainly committed in the work and be self-confident. II do not deliver an academic education, we play together. The knowledge of drawing is not necessarily, but if you are comfortable with, it is better. The goal is to jungle with ease between several matters and a wide range of techniques. You are ensured to be successful in relevant and poetic works in mixed techniques. You are definitely impressed by your own work and you enjoy showing your creations. How many times have I seen the achievements of my students framed with refinement in their living rooms?... And this is my best reward! It is designed as if an instructor was at your side. You know what materials are required for the exercise. They are always basic and easy to find. An introduction explains the aim of the work and this same work (when it exists) experienced by a well-known artist. Then each stage is thoroughly husked, with pictures and texts. Three to four achievements of students are selected as example for each exercise. All these workshops have been tested by budding creators and skilled ones, children and adults. All of them within 2 hours of effective work. 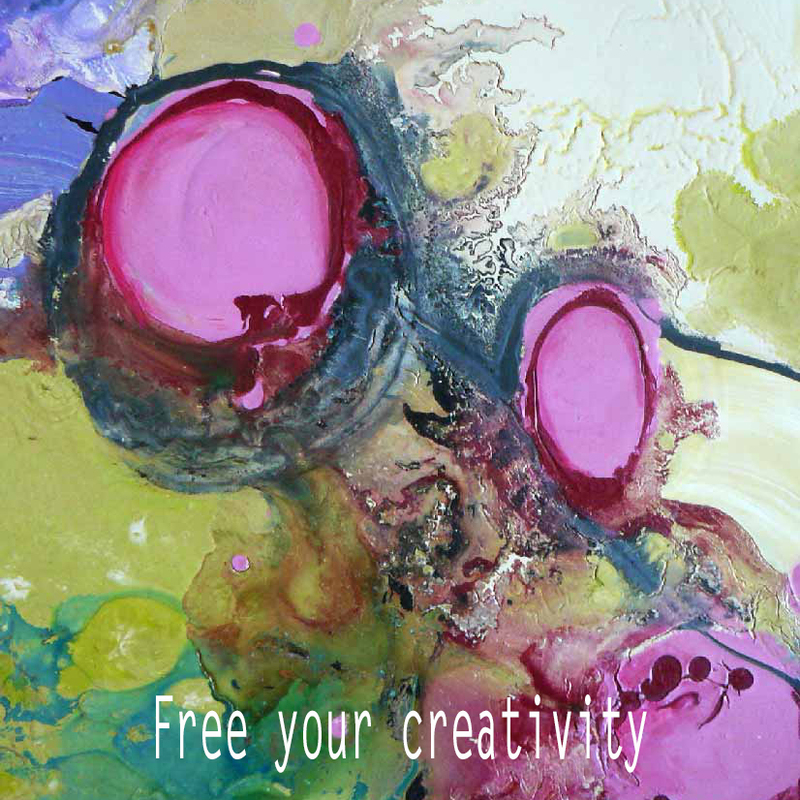 You will have some links to learn more and to see other creations. And we can always get in touch to clarify any impending issue. The kit will be accessible once your payment accepted. On your effective payment notice,click on "return to merchant" and you will get a link to download the book. Thank you.